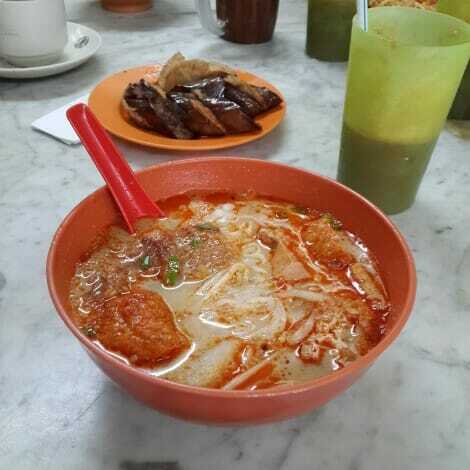 My love for curry laksa started when I was 16, after my very first bowl at the coffeeshop in Lucky Garden. Since then, I’m always on the lookout for curry laksa. 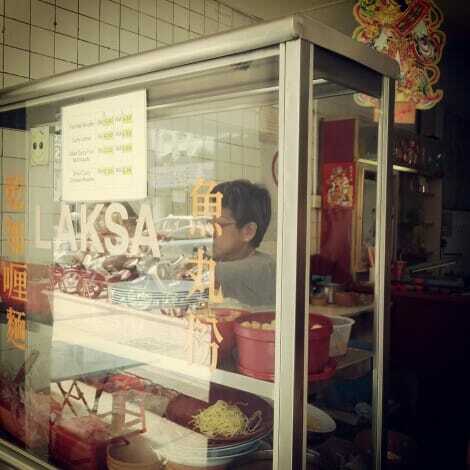 There’s this curry laksa stall in KL (Restoran Sin Hoy How) which I find decent. It’s located across the road from Hong Ngek and LOKL. 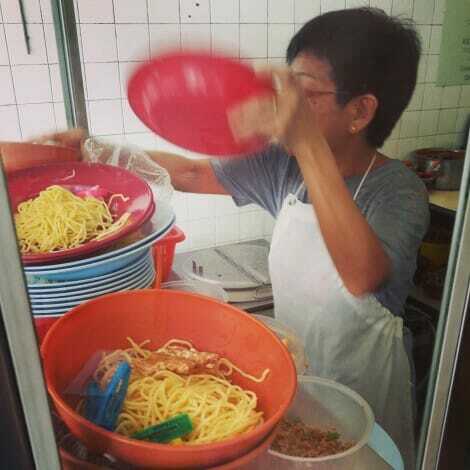 The wait is long and this auntie’s temper can give the Lorong Selamat CKT auntie a run for her money. I hate that she’s so short fused and that I need to wait 30-40 minutes for a damn bowl, but when the craving strikes, I cave. This curry mee is fuss-free. Comes with slivers of fish cake, tofu puffs, chicken and your choice of noodles. There’s also dry curry mee which I find tastier than the soup version, but I’m soup person so the latter is what I go for every time. A bowl cost RM5, but it’s so tiny I need a large one (RM5.50). Even so, the large one isn’t quite as filling and I like it to be so I always add on some yong tau fu (RM1.20 per piece) to tame the monster in me. The iced coffee is pretty good too but cost RM3.50 per cup. Still, it beats paying RM12 for latte across the road. Verdict: Decent curry mee (order the dry version) but waiting is a real pain.